According to figures from the Real Estate of New Zealand (REINZ), house sales in Auckland fell 18.2 percent year-on-year, with national numbers down 10.5 percent. Bindi Norwell, REINZ Chief Executive said: "At a time when sales volumes are normally very strong and total sales figures for the country are typically well over the 7000 mark, with 6938 sales this was the lowest number of properties sold for the month of March since March 2011." Lower sales volumes are having a negative impact on prices, at least in some markets. While the national median price rose 4.5 percent over the year to reach an all-time high of $585,000 in March, Auckland and other markets are not seeing the same results. Auckland's median price was just $856,000 in March, compared to $880,000 a year ago and the all-time high of $900,000 in March 2017. Auckland is now down 4.9 percent from its peak, with other markets starting to follow. Wellington also recorded a median price decline, with prices now at $620,000 after dropping from a record high of $643,500 in February. 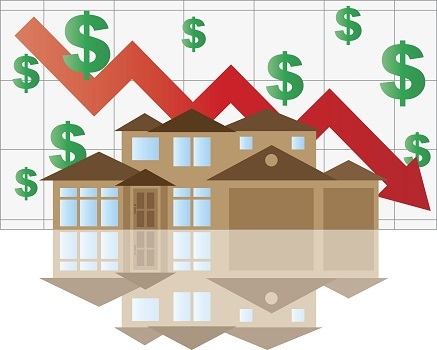 It's important to put this decline in perspective, however, with prices still 5.1 percent more than they were in March 2018. The situation in Canterbury is similar but less pronounced, with the median price falling from its peak of $465,000 in October 2018 to $460,000 in March. Once again, prices are also up on an annual basis, this time by 2.2 percent. According to Norwell, "Looking at the Auckland picture, the median price has just continued to hover around the $850,000 mark – the same thing we've seen for nearly three years now suggesting that perhaps the Auckland market has found its 'new normal' for the time being." While mortgage rates are at historic lows and there are great deals to be had, banks and other borrowers are very risk averse and requiring more documentation than ever. The potential for a new capital gains tax and other Government interventions is also creating uncertainly in the market. According to Norwell, both property investors and owner-occupiers are struggling to obtain finance: "Despite some extremely competitive mortgage rates on offer from the banks and the high chance of an OCR cut in the near future, it appears the legislative changes on the horizon and the difficulty accessing finance are now really starting to impact the housing market in terms of sales volumes... Hopefully, as we gain more certainty over the coming months – particularly in relation to CGT we'll start to see volumes pick up. However, winter is normally a quieter time of year, so time will tell what happens with sales volumes going forward."